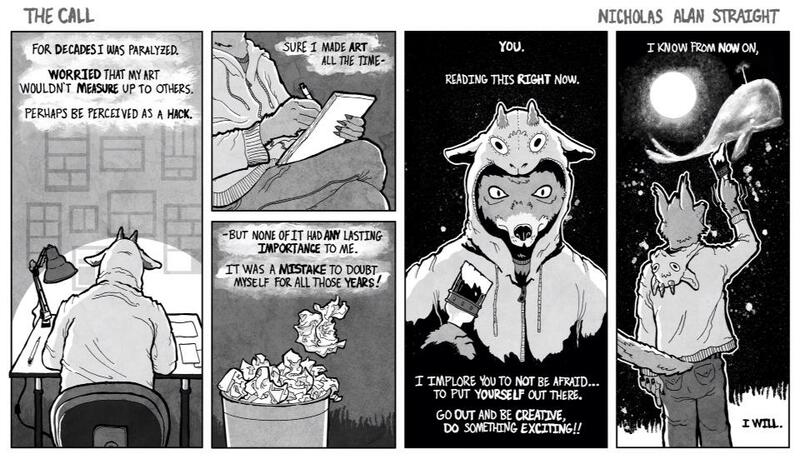 My best friend and Drawmit blogger Nick made this for the City Pages comic issue. Hopefully he gets in- years of work and constant effort should be rewarding him soon. 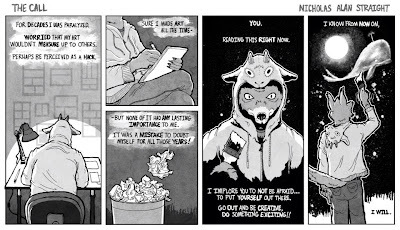 This particular one is very nice and sums up most artists' struggle with creativity in life. Too many responsibilities bog us down, and the call is smothered by life's necessities. Thanks Josh!! Such nice words, you are the best! !